Behind The Thrills | Dapper Dans bring down the house during the preview of Disneyland: The Exhibit! Dapper Dans bring down the house during the preview of Disneyland: The Exhibit! Dapper Dans bring down the house during the preview of Disneyland: The Exhibit! 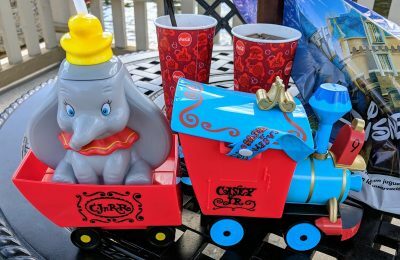 The Dapper Dans have been a huge part of Disneyland tradition, and for that matter, Disney tradition all over the world. They can be found in just about every single Disney Park, and are a throwback to the old Barber Shop Quartets that were a tradition in the United States. It should be no surprise that the opening of the all new Disneyland Exhibit at the D23 Expo in Anaheim should feature the “well dressed gents”. The term “Dapper” means well dressed, and is a turn of the century term. The group is a definite throwback to yesteryear, and the time that Walt Disney himself grew up in. The group has been performing in Disneyland since 1959, and Walt Disney World since 1971. They’ve seen members retire, pass away, and change hands, but they’ve always kept that gleeful step, and pep in their voice. 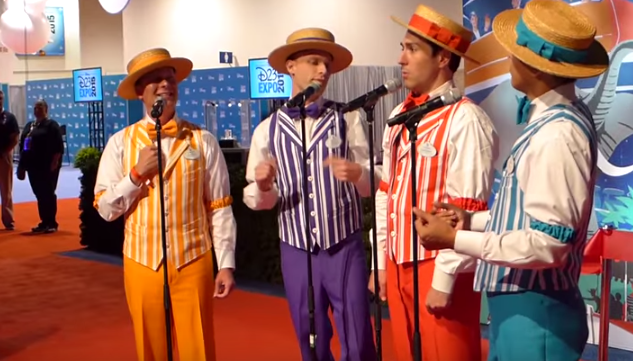 Video-Watch as the Dans perform at D23! The group has a standard song list that they must know, but they’ve been known to break into song with just about every single popular song ever made. The Dapper ones will be making appearances all weekend at the D23 Expo in Anaheim. 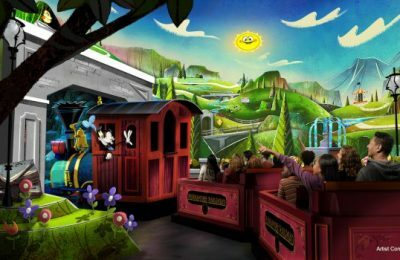 Slideshow: Check out over 140 pictures from the Disneyland the Exhibit at D23! Click here if you can’t view the slideshow The Disneyland Exhibit is a MUST SEE if you’re a Disneyland fan, or just interested in Disneyland history in general. If you’re not going to be at the Expo, no worries, we will be tweeting, and shooting everything at the Expo. 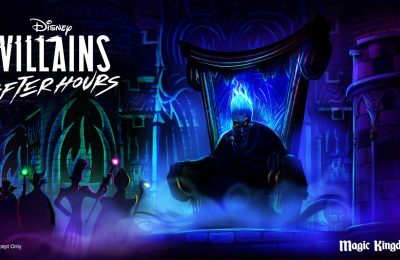 Stay tuned for more from D23, and be sure to get social with us on Facebook, and follow along with us on Twitter @BehindThrills for the latest updates! For more information about the D23 Expo, and the full schedule, visit the official website by clicking here! Previous PostJurassic World to return to IMAX 3D for one week! Next PostFirst Look: Inside Disneyland The Exhibit at D23 Expo 2015!